A new interactive exhibition at Staffordshire University. A touring exhibition which uses eye and body tracking technology to explore how art can improve your mood is coming to Staffordshire University this week. Reflecting Nature is a collaboration between Staffordshire University Psychologist Dr Nichola Street and award winning artist Mark Ware, whose work draws on his experiences since having a stroke. 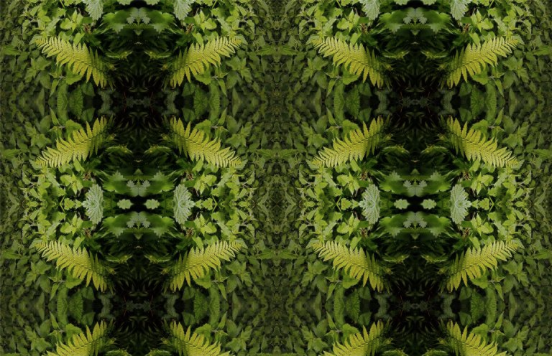 From Tuesday 4 October the University’s Science Centre will house 16 large digital prints featuring natural imagery and symmetrical patterns which have both been shown to trigger positive responses in the viewer. Huge banners with abstract 3D images inspired by Exeter Cathedral will also adorn the building. The exhibition runs from 4 – 16 October at Staffordshire University’s Science Centre. Mark, Nichola and fellow Staffordshire University psychologist Dr Gemma Hurst, are inviting members of the public to take part in workshops based on their research on Saturday 15 and Sunday 16 October as part of the All Stoked Up programme of activity. Find more information here.